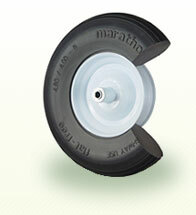 Marathon Industries is a leading provider of flat free tires, air-filled tires (pneumatic), residential & contractor wheelbarrows, hand truck tires, lawnmower tires, and more. 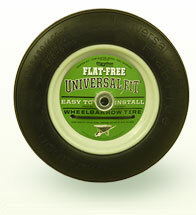 Marathon flat free tires ELIMINATE DOWNTIME caused by flats because they are solid tires made of lightweight, micro-cellular polyurethane! 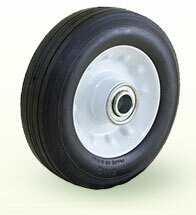 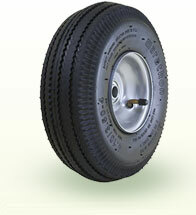 Our airless tires are non-marking, and provide the bounce and feel of pneumatic tires with the benefit of no flats. 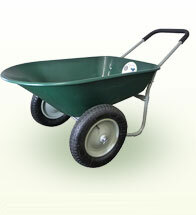 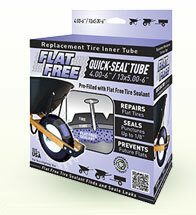 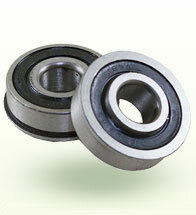 Our flat proof tires will keep your equipment rolling!